This tour is the same tour as the group tour but … it is a private tour. 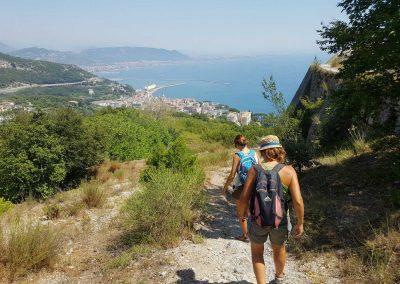 We will bring you and your friends to walk the paths of the Amalfi Coast including Naples, the Vesuvius and Pompeii, with stunning views and amazing food. You will stay at charming hotels. Walk from village to village between, Amalfi, Vietri, Ravello. 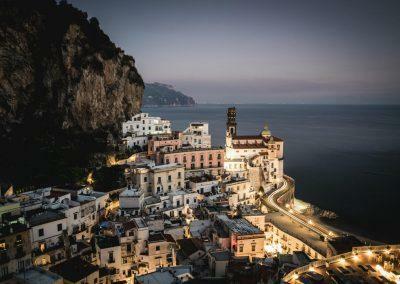 Amalfi Coast is very popular but we have chosen the off-the beaten-track places to provide an exclusive adventure without getting overwealmed by tourists. 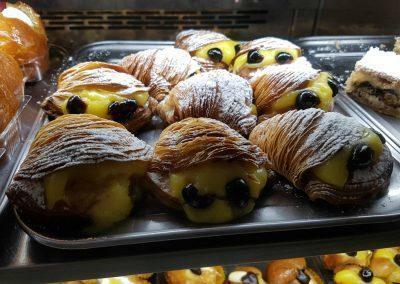 Each day we walk for about 2-3 hours with lots of stops for guide commentaries, coffee, pastries, visit family-run farms, lunches at small trattorias. Music is big part of this tour. 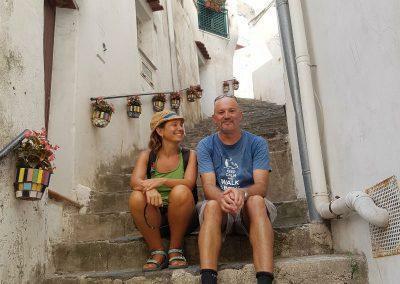 Local people are also a big part of this tour as we believe that the best memories will come from the people that you meet along this adventure. 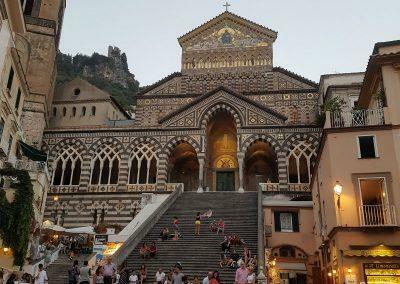 Interested in Amalfi coast Guided Group Walking Tour instead? – Discover Naples, the largest open-air Italian museum. 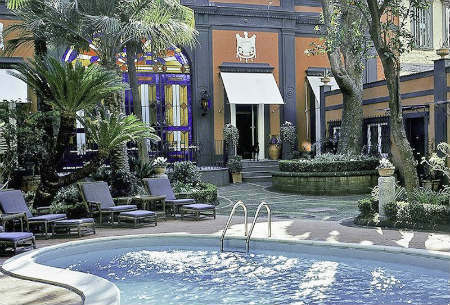 In Naples you will be staying at a 4 starred L sophisticated hotel with a pool, located in a safe pedestrian area. 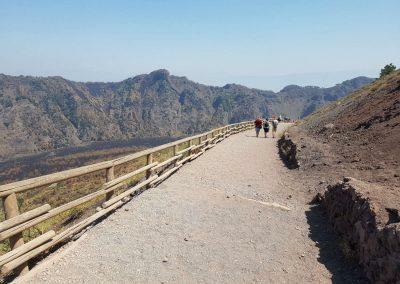 – Walk up the Vesuvius volcano on an easy hike and admire Naples from up above. – Enjoy a Tammurriata music and dance private show…You will be invited to dance with the performers! 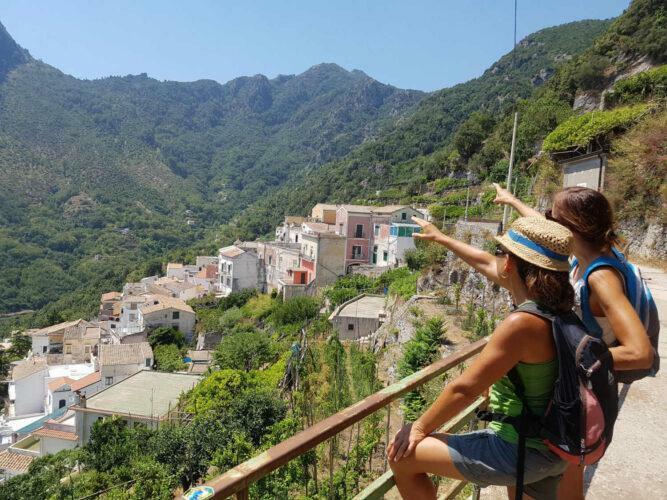 – The local guides will take you by hand to discover all that! 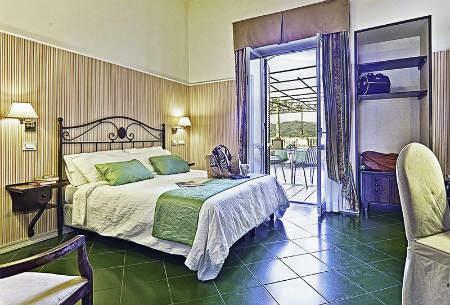 – 6 night stay at hotels (two 4 starred hotels and one 4 star luxury). All the hotels are conveniently located in the town historical centers. Two out of three hotels have a swimming pool. Book early and we will try to accommodate you in a room with a view. – All breakfasts. 5 lunches. 4 dinners. – Amalfi winery visits and tastings: you will talk to the owners! – Guaranteed departure Even if we have just you on tour we are committed to operate the tour. Book soon with us and book your flight to Italy! – We are locals. We have been born and raised in Tuscany. We know how to stay away from the crazy crowds. We know the little secrets that will make your stay unforgettable. – It’s a responsible way of traveling: We employ all local small businesses; small farms, local guides, family run hotels and restaurants. If you buy our tours you will give back a lot to the area, contributing to mantain the economy of this region. Thanks a lot for doing this! 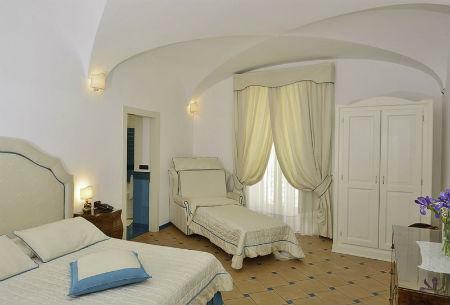 Costantinopoli104 is not a hotel, we love to call it charming refuge, a corner of peace and quiet in the heart of Naples. 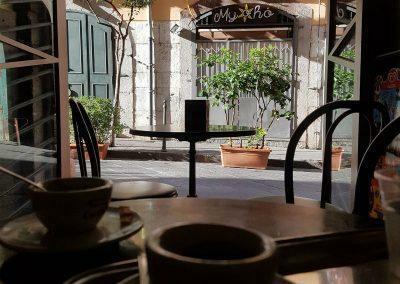 Via Constantinopoli is the street of the antiquarians and restorers. The villa, on two floors with a terrace, was the property of the MarcheseSpinelli, who had it built on a site of a huge monastic complex. The piperno stone entrance of the garden, the crests of the Marchese on the facade and the marblework balustrades are still t a testimony of the antique splendour of the house. A beautiful stained-glass window to lead Art Nouveau resplendent with its beautiful colors welcoming in this charming home that preserves in every room and in every environment authentic “pieces of history” with marbles, decorations and ornaments of the past. This is a characteristic location, as it was built in the centre of an ancient medieval hamlet, called the “Badia” due to the presence of its thousand-year-old Benedictine Abbey visited by tourists coming from all four corners of the World. This is a unique location, for those who love to breathe the typical atmosphere of Historical Residences without having to forego modern, functional environments. 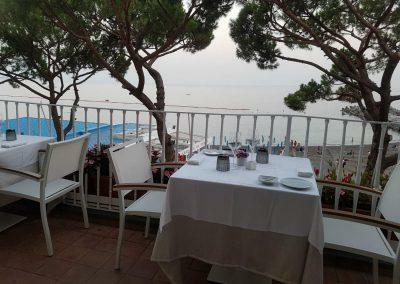 The Hotel Residence is situated in a beautiful seafront location in Amalfi. It was an aristocratic palace of the eighteenth century. 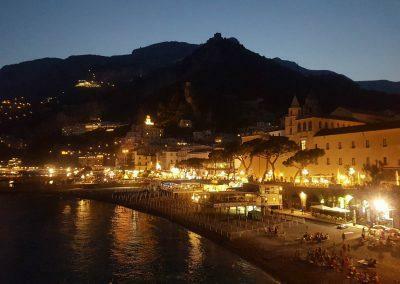 Converted into a hotel in the 50s and completely renovated in 2010, it has 27 different rooms that offer splendid views of the sea or on the famous Piazza Duomo with its Cathedral dedicated to the Apostle Andrew. 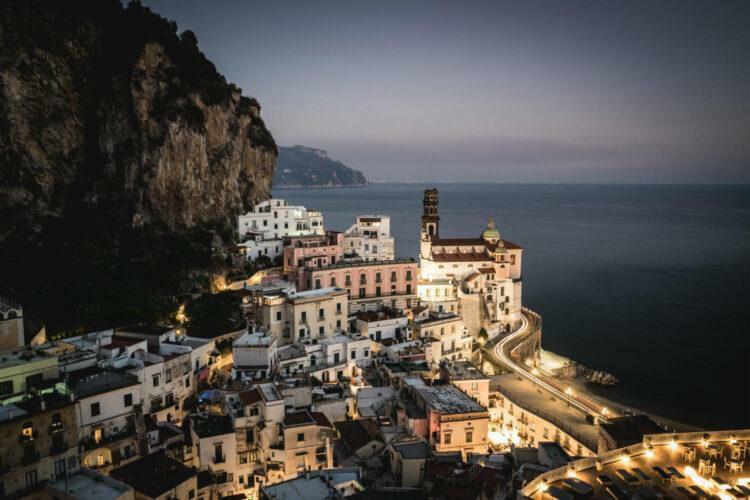 The elegant and historic medieval structure known as the Arsenali della Repubblica, which bear witness to the maritime power the Amalfi Republic wielded in its heyday, is just a short walk from the hotel. We discover together with the local art guide Roberto this unique city, its culture and traditions walking in the historic centre, called an “open-air museum” because of the huge quantity of churches and historic buildings. But Naples is also an “open-air theatre” because people use to spend mostly of their time outdoor, side by side with the others as a great community, chatting, discussing, playing and eating. 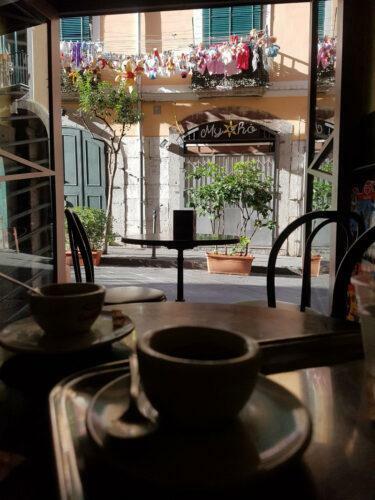 Our visit is focused on the Neapolitan lifestyle, to better understand the soul of this unforgettable place. At dinner we experience the real Neapolitan pizza in one of the oldest pizzeria of Naples. The “margherita” and the “marinara” are considered the original pizza: tomatoes sauce, basil, mozzarella, olive oil… simple but absolutely tasty! 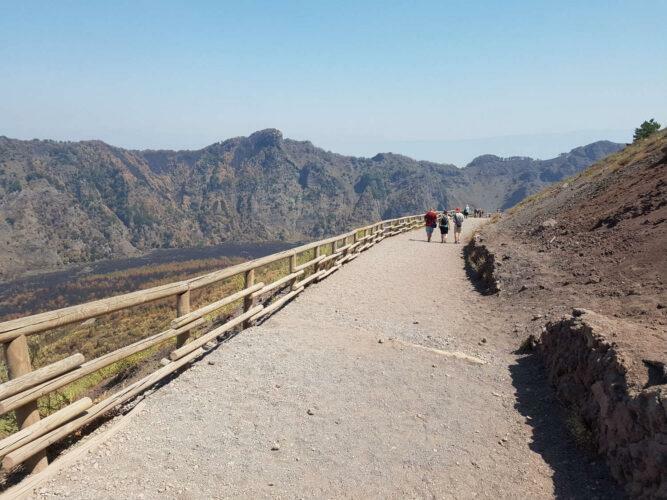 Today we walk on one of the most famous and still active volcano of the world: the Vesuvius. We go back with the imagination to the eruption that destroyed Pompeii in 79bC. We learn about the events happened through the memories of Plinio the young, the first documentary of the history. 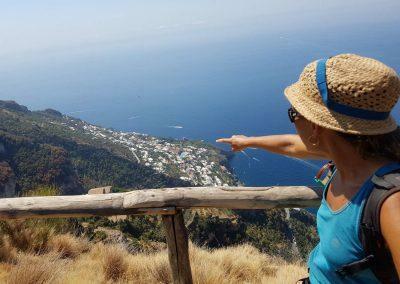 From the top of the volcano (1282mt) we can look into the crater, we can see the Fumaroles, sign of the activity as well as a great view of the bay of Naples. At lunch we go and visit a wine factory producing the so-called “Lacryma Christi” wine and we taste organic food specific of the Vesuvius area, we then carry on to Pompeii and, with an archaeological guide we visit the ruins of the old roman city, the Forum, the bath, the market, the theatre and the Amphitheatre. We then reach the hamlet of Corpo di Cava on the Amalfi coast with our private van. We start the day with a visit of the Abbey of the Benedictine fathers dating back to 1011, with sculptures of Tino di Camaino (14thcentury) and the Longobard Cemetery (12th century). 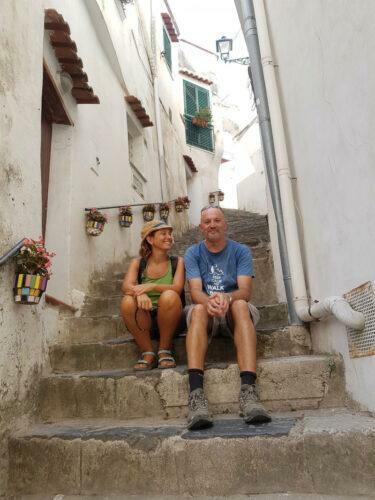 We then start our walk to reach the villages of Raito and Albori, listed as part of the most beautiful hamlet of Italy. 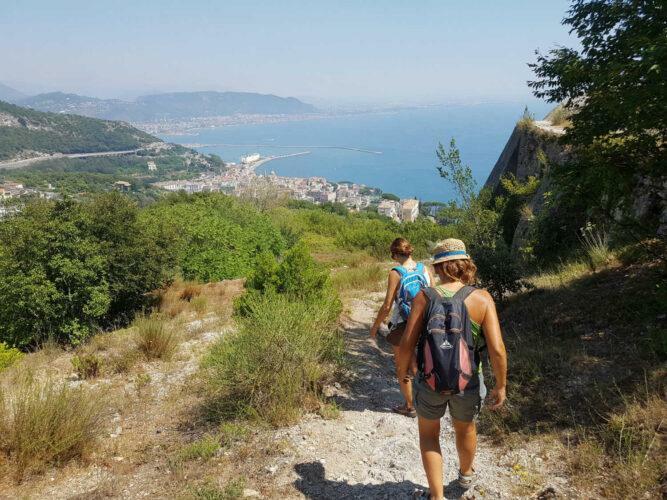 On the way we have great views of the coast and the bay of Salerno. A nice walk along the vineyards and the white homes of Raito leads us to Vetri sul Mare, the “village of the ceramics”. Here we visit a small factory and we learn about the making and decoration of ceramics. You will work hands-on on your own piece followed by your ceramic instructor. At the end of the lesson you will be able to take your “masterpiece” back home. Cool, isn’t it? In the afternoon we take time to relax in the garden of the hotel. Dinner tonight is served at our hotel where we have an exclusive exhibition made for us, a dancer and a musician will perform the typical local music and dance, the so-called tammurriata. It’s an intriguing and enchanting mix of gestures and words with a special meaning related to the Neapolitan culture. You will love it! We take a private van to reach the heart of the coast, the town of Amalfi where we settle in a marvellous hotel in front of the sea. 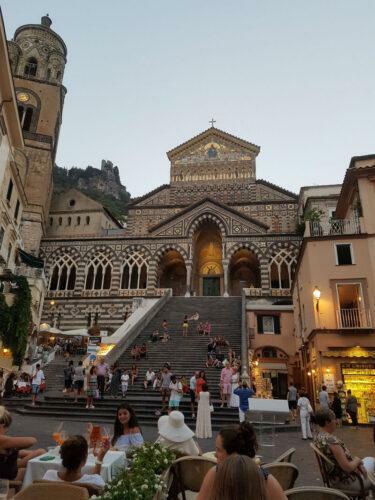 On the way we stop in Ravello, that in the medieval ages was the town of the richest families of Amalfi. This is the reason why there are so many villas. 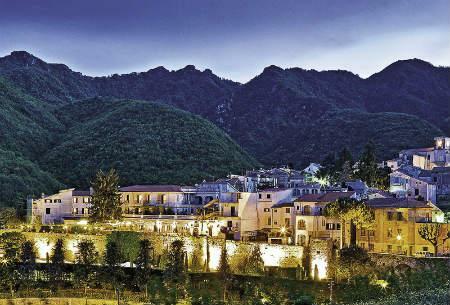 We visit two of the most sumptuous villas: Villa Cimbrone, its beautiful gardens and the “Infinity terrace” facing the sea from the height of 400 meters; Villa Rufolo, the place where Wagner composed its Parsifal; we visit also the Cathedral with its mosaic of “Giona and the whale”, sigh of the Moorish influence. We have a light lunch on a terrace overlooking the sea, once again a nice spot. 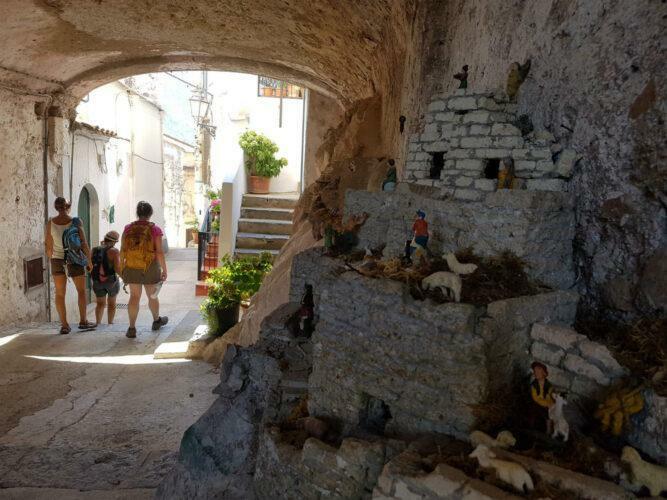 We then walk back to Amalfi by an old connecting path passing through the tiny village of Atrani, looking as a nativity scene. The afternoon is free to discover on your own the town, its cathedral, the tiny alleys, do some shopping, have a drink in the main square, enjoy the special atmosphere. Dinner tonight is very special; we take a private boat that brings us in a restaurant on a private beach. We come back by boat with the view by night of the coast. Today we have prepared for you a great off-the-beaten-path day. 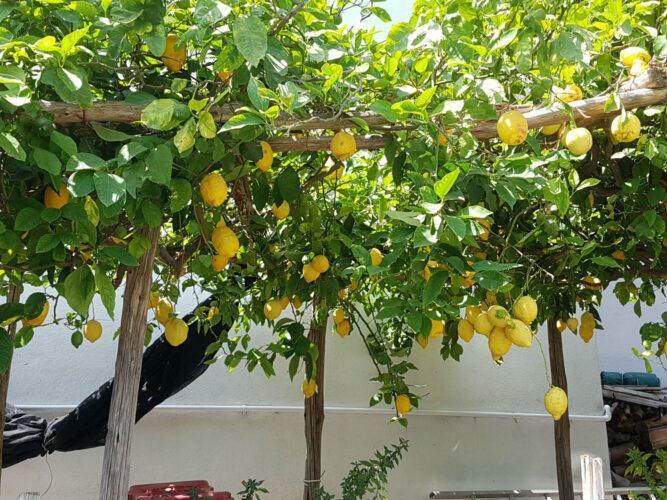 We walk the “lemon path” between the two villages Minori and Maiori, along lemon terraces with spectacular views of the cost. 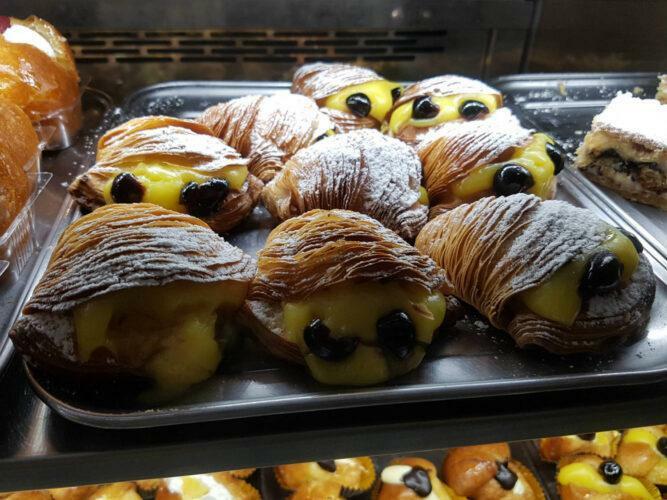 In Minori we visit the Maritime Roman villa and taste the pastry of the famous chef Sal De Riso. 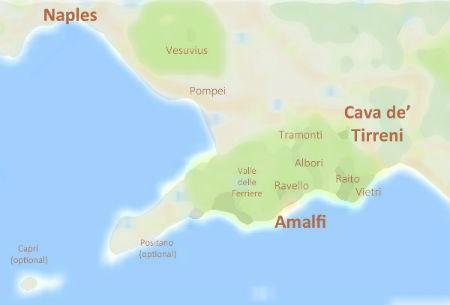 We then venture to the small town of Tramonti. 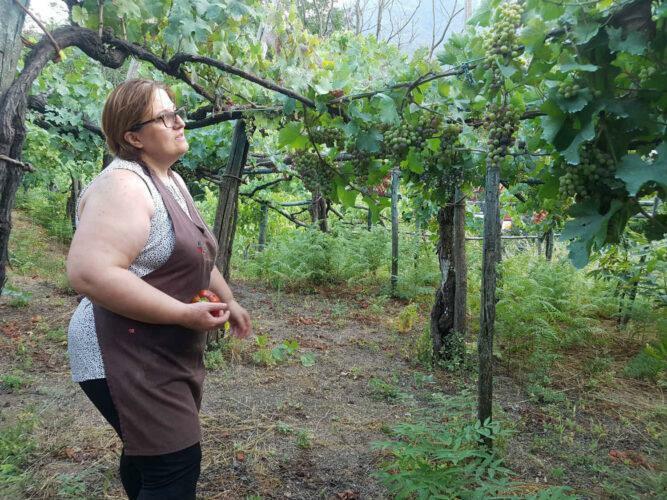 There we have a very relaxed time: walking in vineyards, talking to owners of small farms. The name of this town literally means in between the mountains; the area is well known for producing wine and mozzarella cheese. We then reach a farm close by where we learn how to make mozzarella cheese and we have a lunch in their vineyard. By mid-afternoon we will be back with a van to our hotel and the day as a group is over. So you might want to pay a visit to Positano, taking a boat on your own (boat ride is 30 minutes). If you want to stay in Positano for dinner you can take a later bus back or a taxi. 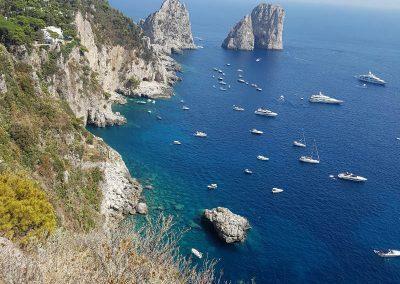 (Capri optional excursion) In case you are not really feeling for an off-the-beaten-path day you can swap this excursion with the more on-beaten-path island of Capri. 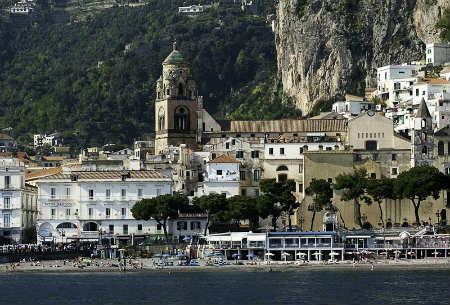 We will be happy to cover the cost of the boat that will take you to Capri (1 hour boat each ride). You will be on your own to the island. No worry. You cannot get lost. Your guide will give you all the information on places to visit, what to eat and what to do. You then take the boat back to Amalfi and meet the group for dinner (on your own). 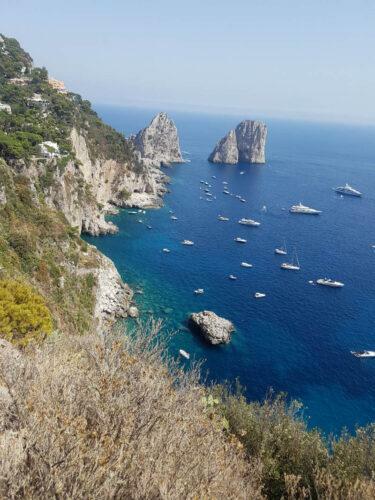 Please notice that if you are going to Capri for the day you don’t have time enough to go also to Positano. 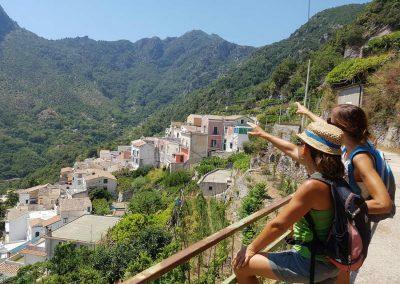 Today we walk in the Mill’s valley, along the river Canneto and the ruins of the paper mill’s where once in the 13th/14th centuries the special paper of Amalfi was produced. We walk up to a reserve, a protected area, where we have 2 spectacular waterfalls and a pre-historic fern grows, the Woodwardia radicans. We walk in a chestnut forest; the scenery is calm and the atmosphere very relaxing. On our way we reach a family farm where we learn how to make an Italian dish (pasta or parmigiana). 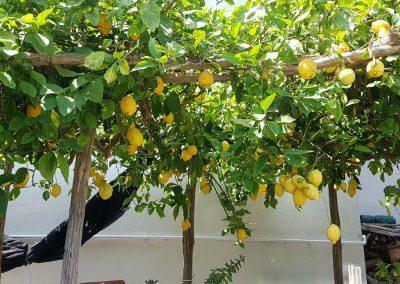 We then enjoy our lunch on a terrace looking at the valley on the lemon terrace. After lunch we go on to Amalfi where we visit the paper museum, once a factory, where a guide will show us the process to make paper using linen and cotton, the old machinery and the channel water system. 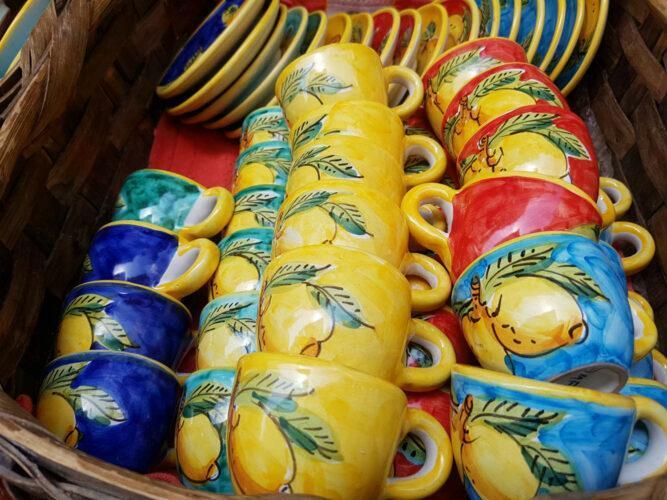 Coming back to Amalfi you have free time for shopping before enjoying a great farewell aperitivo with the group on a terrace facing the sea. Then, if you want you can continue having dinner or just enjoy the atmosphere of Amalfi for the last evening here. 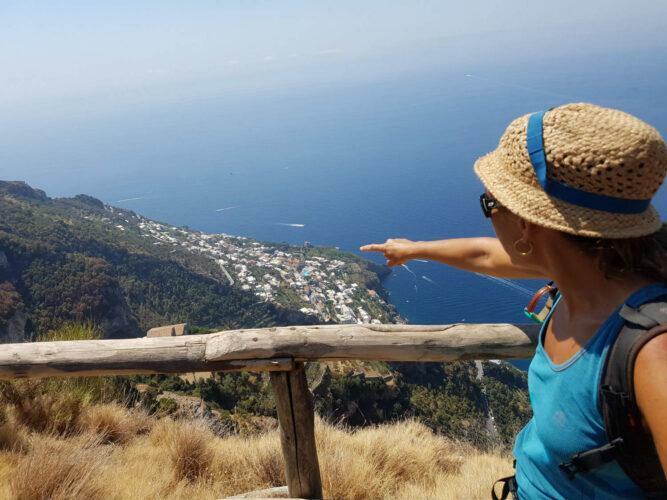 Rosa guides our Amalfi Coast trip. 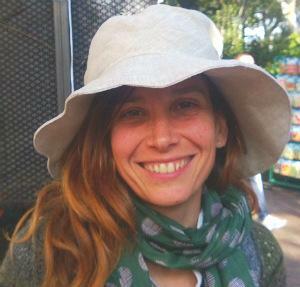 She is an official guide of the “Monti Lattari” Regional park and of the Vesuvius National Park. Rosa started walking on this paths since she was 12 years old. She has a great passion about dancing and all the local traditions. Rosa and a some friends are part of a dancing traditional group. 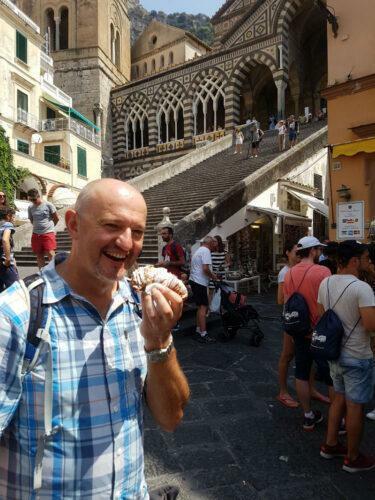 Roberto guides our Amalfi Coast trip. 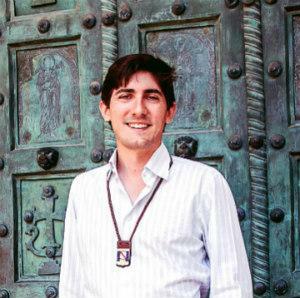 He is an archaeologist and an authorized guide of Campania Region. 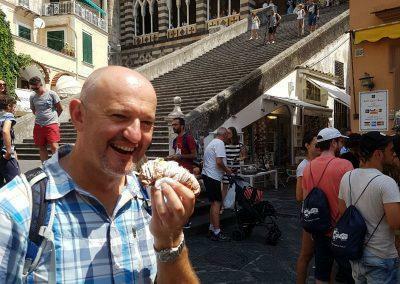 He’s going to offer his knowledge in the art-historical and archaeological field for anyone who wants to understand and investigate the incredible richness of Campania Region. 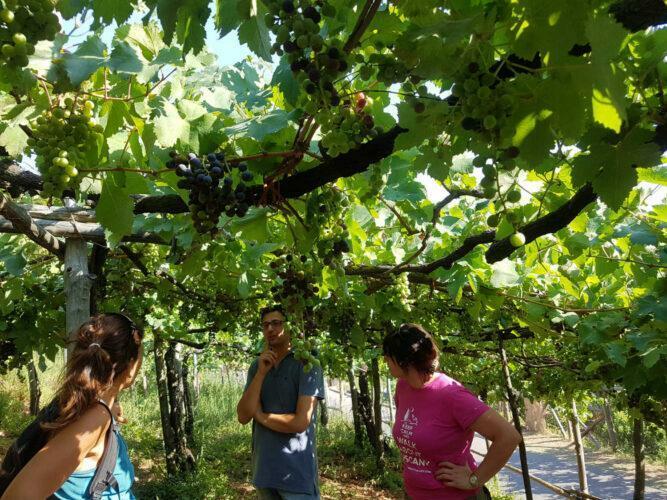 He collaborates with Slow Food (an international movement that strives to preserve traditional and regional cuisine and encourages farming of plants, seeds and livestock characteristic of the local ecosystem) and so he can also show you the authentic pleasures of wine and traditional food.